A Lead free alternative to enhance the indoor range experience. 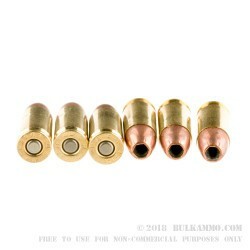 Generally speaking, the exposure to lead in these cartridges in almost non-existent. From handling to particulate matter, to heat transfer into the firearm, to impact on the backstop, this ammunition removes lead from the entire equation where it comes into contact with the environment. 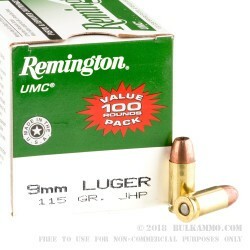 If you value a nearly lead free experience, or shoot in an environment that desires to mitigate lead exposure (many ranges do now), this is an excellent range round for you. 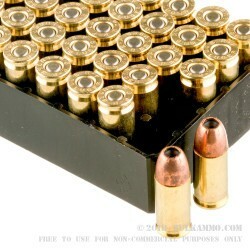 The nearly identical performance offers those with lead sensitivities or those who just prefer not to have additional exposure to lead, a substantially similar experience to normal ammunition in recoil, feeding, impact on target, velocity and energy delivery, but without the unnecessary exposure to lead. In highly regulated areas, this has become a common practice: to limit the types of ammunition that can be shot so as to ensure the lead air exposure is minimal and the lead mitigation systems in the range design don’t have a chance of failure. In cases like this, this ammunition is a very good option. It does have a price premium, but not such a premium as to make shooting it too difficult.